This was one of my favourites in this challenge, cjf2, and rightly deserves a top place here. 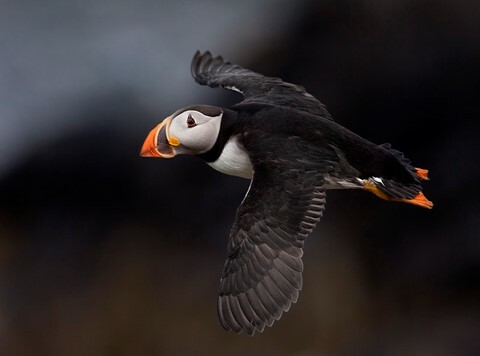 It is a wonderful capture of a little puffin in flight, a rare sight for most of us. Not only have you shown the blackness of the back and wing feathers in considerable detail, but you have also captured its delightful face for us to smile about. I thought this was better than the Shag picture and covered the subject well but the people have spoken I guess.